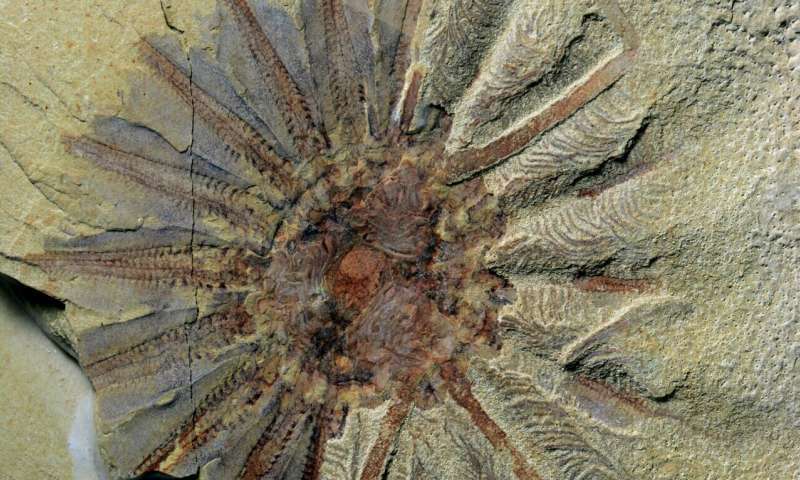 "When I first saw the fossil, I immediately noticed some features I had seen in comb jellies," said Dr. Jakob Vinther, a molecular palaeobiologist from the University of Bristol. "You could see these repeated dark stains along each tentacle that resembles how comb jelly combs fossilise. 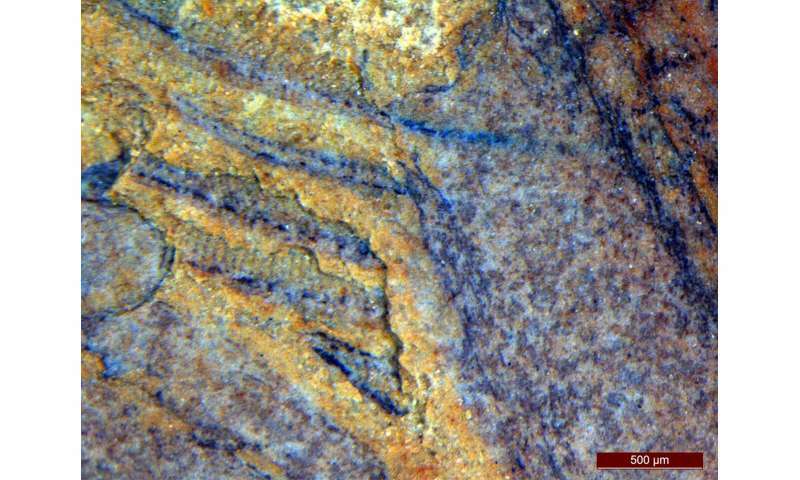 The fossil also preserves rows of cilia, which can be seen because they are huge. Across the Tree of Life, such large ciliary structures are only found in comb jellies." "It was probably one of the most exhilarating moments of my life," said Dr. Vinther. "We pulled out a zoology textbook and tried to wrap our head around the various differences and similarities, and then, bam!—here is another fossil that fills this gap." 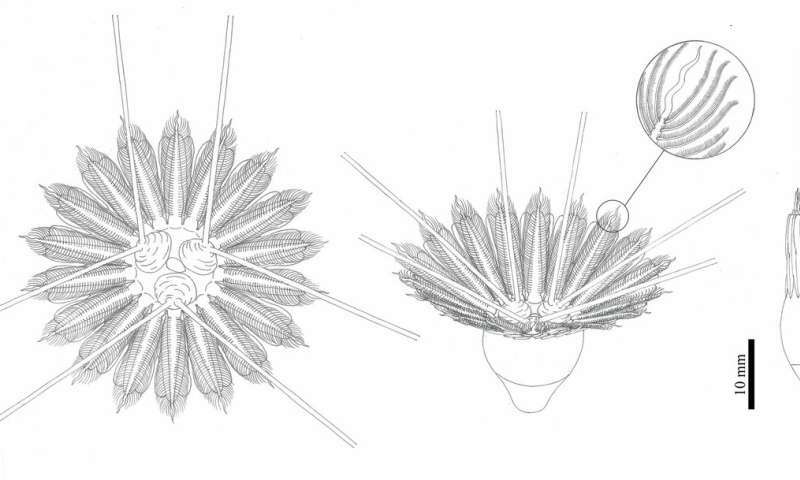 The Qingjiang comb jelly looks like the Burgess one in this work, but I don't think the 10 Myrs difference/coexistence of fossils in the proposed fossil series is a problem. Instead, "experts on modern comb jellies are treating Vinther's claims with caution. "This paper strikes me as seeing the webbed feet and bill of a platypus and saying it must be a duck, [despite the fact that] it doesn't fly like a duck, or quack like a duck," says Steven Haddock, a biologist at the Monterey Bay Aquarium Research Institute. "To those familiar with modern comb jellies, the purported correspondence with [these] fossils is equally fanciful."" Note though that the better the site rate handling in genome trees, the more sponges becomes the oldest animal, which is consistent with the new work.